Rose Auction! More Roses Added! Get comfy, grab a pen and paper and visit our 2017 Rose Auction Page for a freshly updated Rose List and Auction Catalogue! 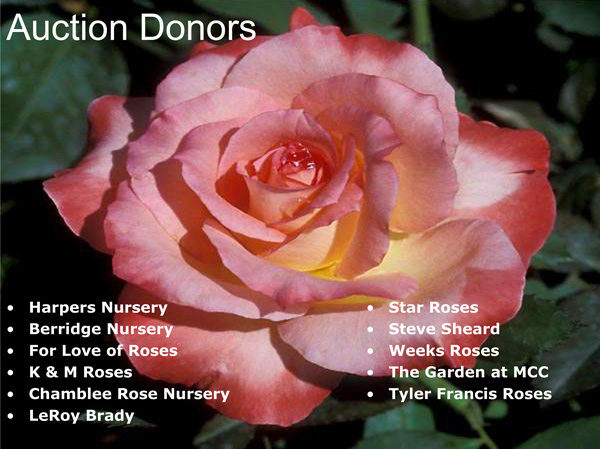 Many, Many thanks to our rose donors, listed below. This is going to be great. Saturday, February 11 – we’re looking forward to seeing you there!